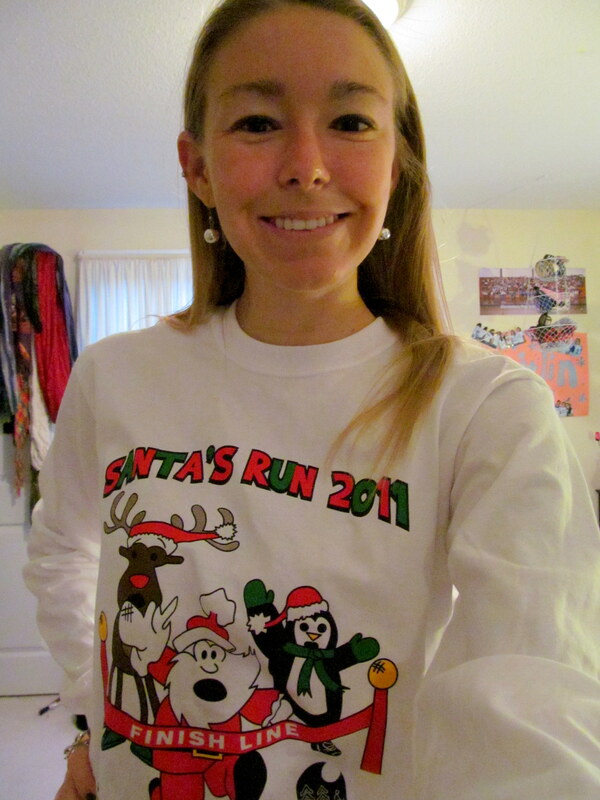 Totally forgot to share my race shirt in yesterday’s Santa’s Run recap – oops! I wore it to work on Monday to continue my own little celebration of my time. Eats have been pretty good this week. 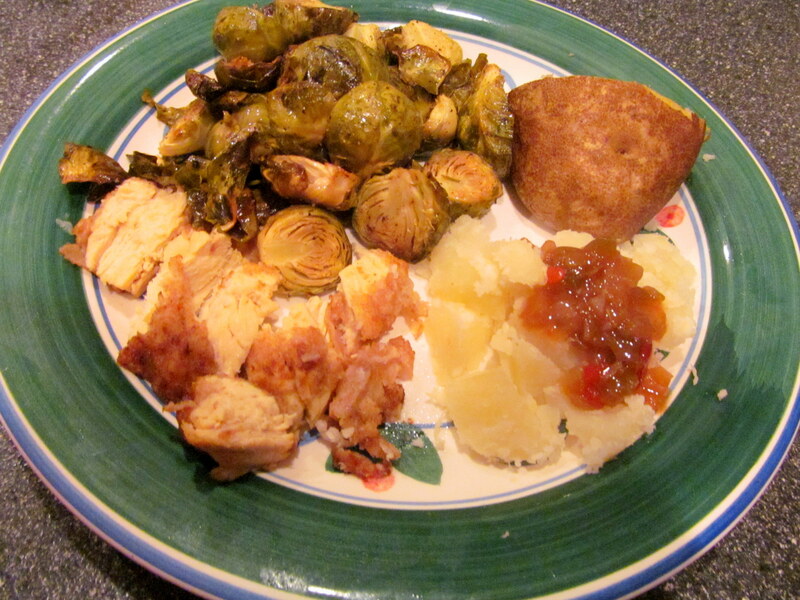 Last night’s meal of leftovers was quite blah, but Monday’s dinner of leftovers was actually quite amazing. I put together a hodge-podge bowl of shrimp, sauteed peppers and onions, chili, broccoli, coleslaw, and refried black bean dip. Yes, that all fit in one bowl and it was so so SO good. Wednesday night my mom went all out and prepared a dish she hadn’t had the time to make in awhile – healthified breaded chicken. She didn’t fry it, and used whole wheat flour for the breading. 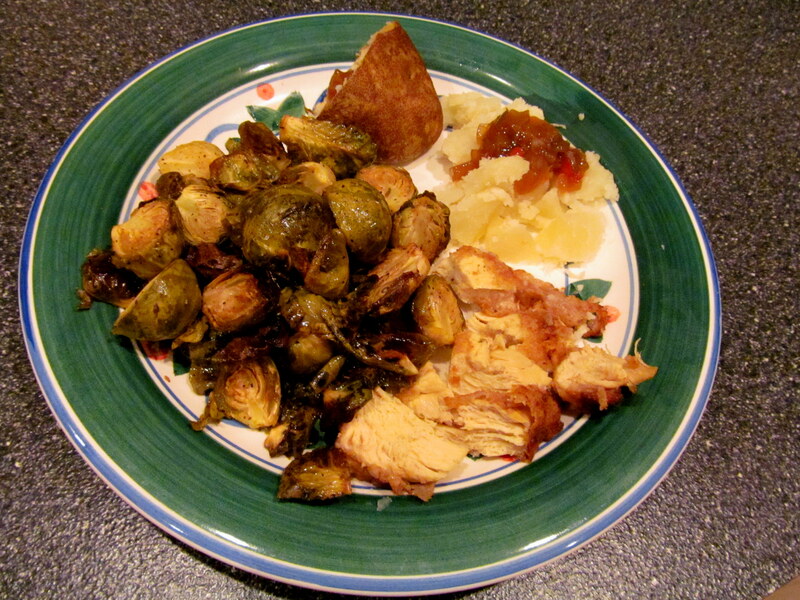 We also had the love of my life, roasted Brussels sprouts. I had two HUGE helpings and had to stop myself from finishing off the rest so that I could have some to use in my salad the next day. Also had a little baked potato with the last of my Mariah’s Chow Chow Relish – oh no! Gotta restock. 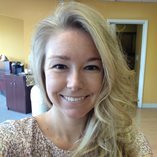 Today I’ll be doing either Group Power or Group Step – not sure which yet, it depends on what time I can get outta this office! I have a holiday party to attend tonight where food and wine will be a-plenty. Don’t worry, pics will be taken – in between trips to the dance floor! 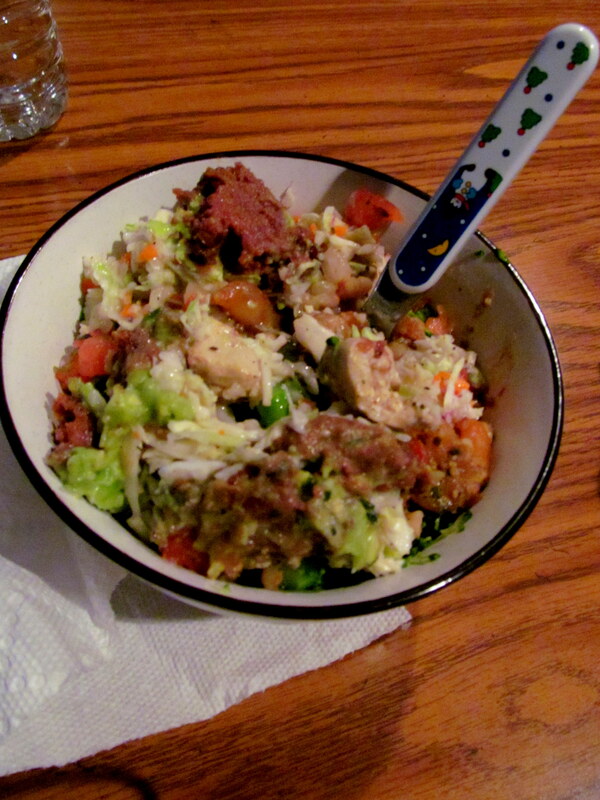 Do you like making hodge-podge leftover bowls? What’s one meal that you love but don’t make a lot because it is time consuming?